Sometimes a tooth and the area around it become infected. An abscessed tooth is a pocket of infection at the root of the tooth or between the tooth and the gum. It can be extremely painful, and it won’t go away on its own. Why Do Teeth Become Abscessed? The area inside the tooth around the root is called the pulp. When bacteria get to the pulp, infection arises. Any time there are openings in the tooth’s enamel, bacteria can get in. Sometimes gum disease or gingivitis cause this to happen. 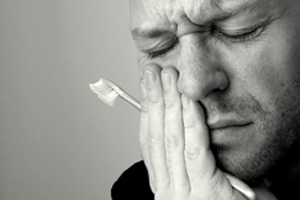 Other times, tooth trauma makes it vulnerable to bacterial infection. A high-sugar diet also makes your teeth more vulnerable to abscess. Sugary snacks and drinks weaken enamel, cause cavities, and may lead to an abscess. Treatment can be complicated. The sooner you see your dentist, the less the infection can spread. Your dentist will drain the abscess to remove the infection that’s causing you pain. Sometimes your dentist will perform a root canal to restore health to the root of your tooth. Dentists prescribe antibiotics to fight infection. They may also recommend rinsing with salt water and taking over-the-counter medications for pain. What Can Happen if You Delay Treatment? · Fistulas – When infection spreads, tunnels form from the abscessed tooth to other teeth. · Osteomyelitis – Infection spreads from your gums to your bones. · Sepsis – If the bacteria from your abscess drains to other parts of your body, you could experience life-threatening infection in your head, chest, or neck. The best way to avoid an abscess is to take good care of your teeth. Regular brushing, flossing, and cleaning keep your enamel strong. Contact Cobblestone Park Family Dental to schedule a checkup today.